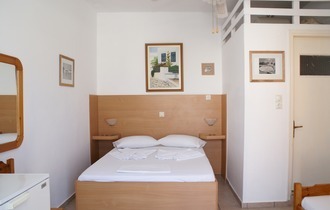 Each time you make a reservation through this website, your reservation is made directly with Dina's Rooms Sifnos. As such, you are guaranteed the lowest possible rate, unlike reservations made through third party systems (whose prices include the given platform’s commission). 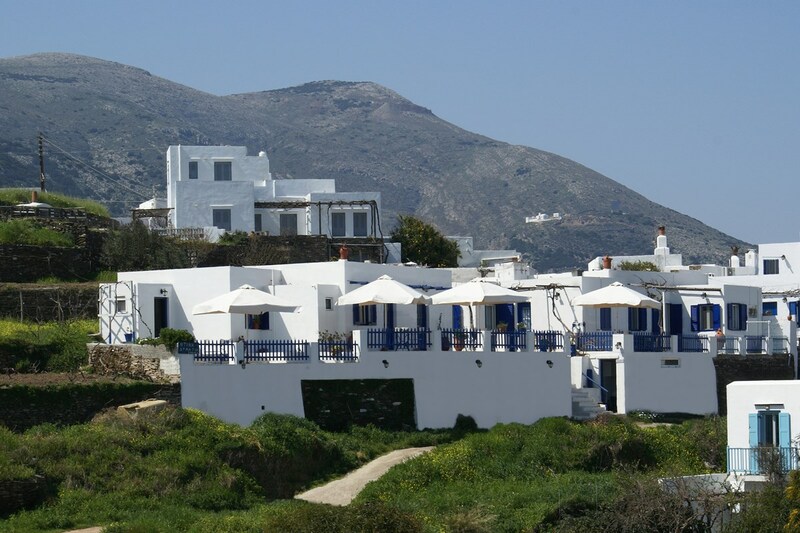 To send a reservation enquiry directly to Dina's Rooms Sifnos click here! At the heart of Sifnos island in Apollonia, close to the centre of Sifnos but in a quiet location, one finds Dina's Studios. 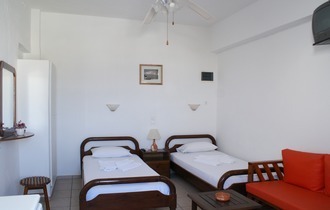 These rooms for rental belong to the family enterprise of Yiannis and Dina Lazaridi that has been running for twenty years; with foremost their guests' need for comfortable and relaxing holidays in mind. 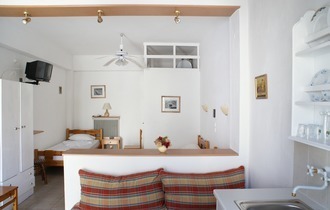 These Studios in Sifnos consist of independent rooms for two, three or four guests that feature television, A/C, Wi-Fi, heating, fridge, parking. Three of these rooms also include a kitchen, while a separate kitchen is shared by the remaining rooms. Each room has a large attractive veranda, with a canopy of vines and bougainvilleas and a wonderful view of the endless blue of the Aegean sea. The traditional hospitality and friendly service offered by the owners, with their care to every small detail and the reasonable rates, ensure unforgettable holidays in one of the most beautiful islands of the Cyclades. • Pets are welcome on request. • Open from April to October.